Being the parent of a 6-year-old boy, we go through a TON of toilet paper. 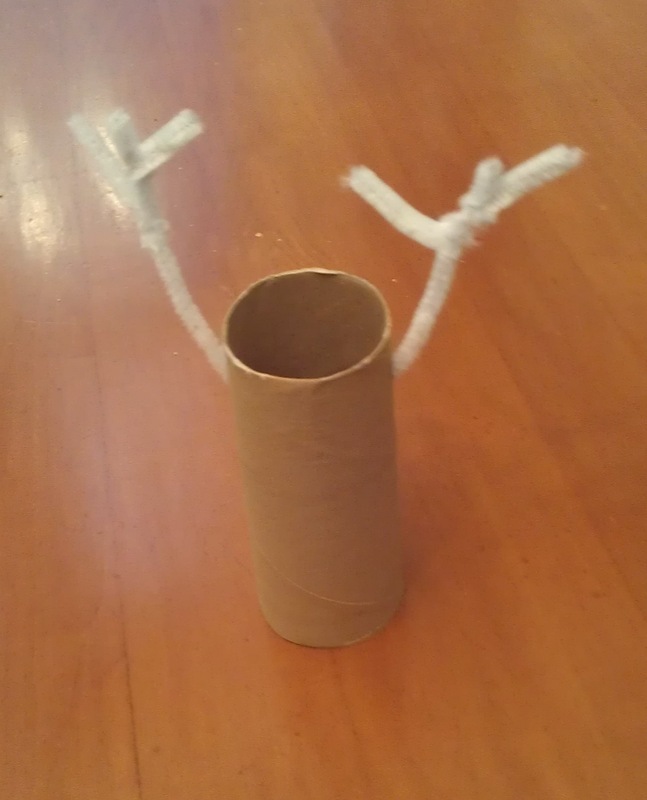 Faced with a stack of empty toilet paper rolls, I thought it would be great to re-use before I had to recycle. Christmas is coming and he and his friends wanted to make a seasonal craft. What better than Santa and Rudolph – smiling and happy that these toilet paper rolls are being put to good use. Everything I didn’t already have, I bought at the dollar store. I ended up paying about $1.50 each for the paint, $1 for the glue, and $1 each for a pack of pipe cleaners and googly eyes. 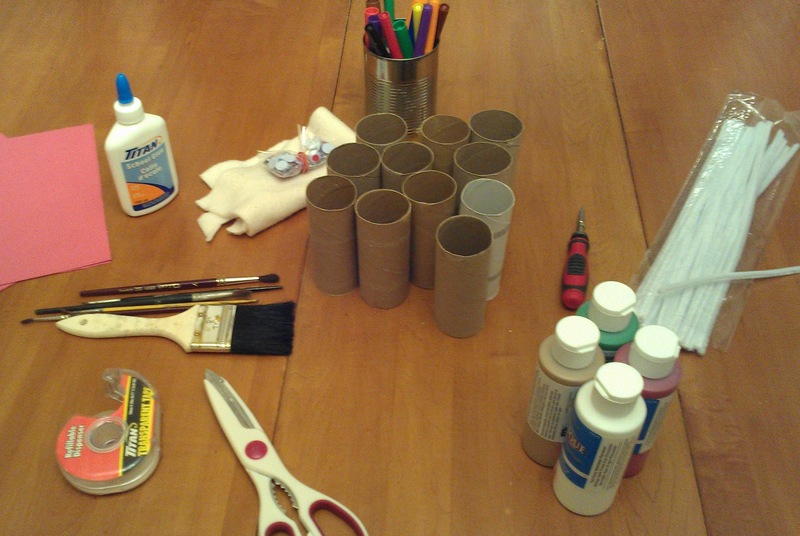 Step 1: This craft takes a little bit of adult prep beforehand, and a little more help along the way. First, I poked holes in the side of the reindeers’ heads ( in which to insert the antlers). Then I painted the rolls brown for the reindeer and white and red for Santa. Step 2: Then, the kids cut their pipe cleaners to their desired length and did whatever they wanted to them, shape-wise, before they inserted them into the reindeers’ heads for antlers. 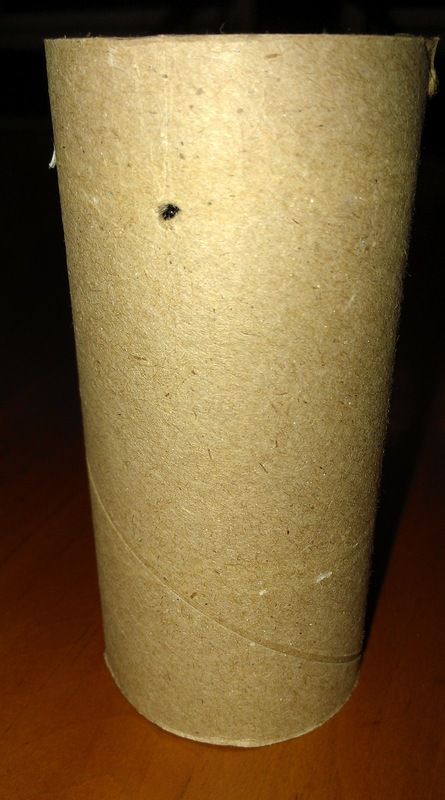 We then taped them to the inside of the roll so they wouldn’t just fall out. Step 3: I also helped the kids cut out the shape for the Santa hat. Once you’ve cut out this shape, you just need to tape one half of the straight line to the other, and your Santa hat is done. We taped the hat inside the roll, as well, and glued the end of a cotton swab to the top. Step 4: Glue on the eyes, cut out and glue on a felt beard for Santa, and go to town with the markers! The kids all had their own variations on Santa and his reindeer.